Composer, organist, and violinist. His grandfather Jakob Christian was Kapellmeister at Oettingen and Merseberg; his father, Johann Christian (1699-1754), was Konzertmeister at Eisenach. 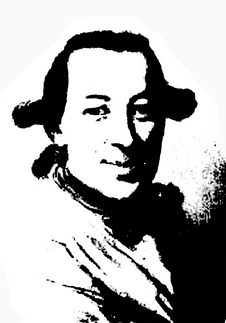 Johann Wilhelm studied music at Eisenach under Heil, a pupil of J. S. Bach, and later took instruction from Karl Höckh. In 1744 he received a post as violinist at the Strelitz court; through his travels to Berlin he maintained close contacts with C. P. E. Bach, Franz Benda and Georg Benda, and he continued study of composition with Carl Heinrich Graun. In 1752 he took his father's place at the Mecklenburg-Strelitz court for a brief time before the court was dissolved. He became court composer at Schwerin in 1754 and remained there until his death, giving violin and keyboard lessons to the royal family. He composed sacred choral music, cantatas, lieder, symphonies, concertos, chamber music, and solo keyboard pieces.